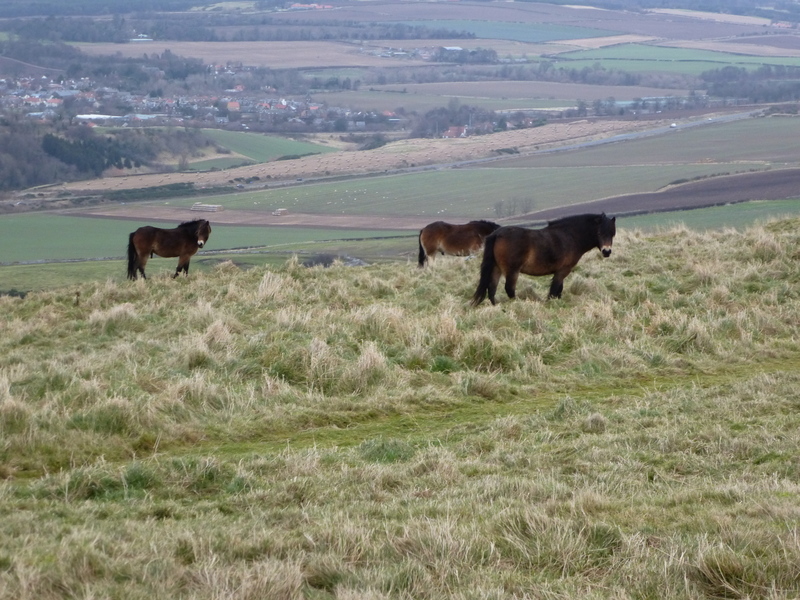 Any regular visitor to East Lothian will know Traprain Law. A huge mound of volcanic rock which sits dramatically amongst the rolling hills around Haddington, it is hard to miss this imposing mass. 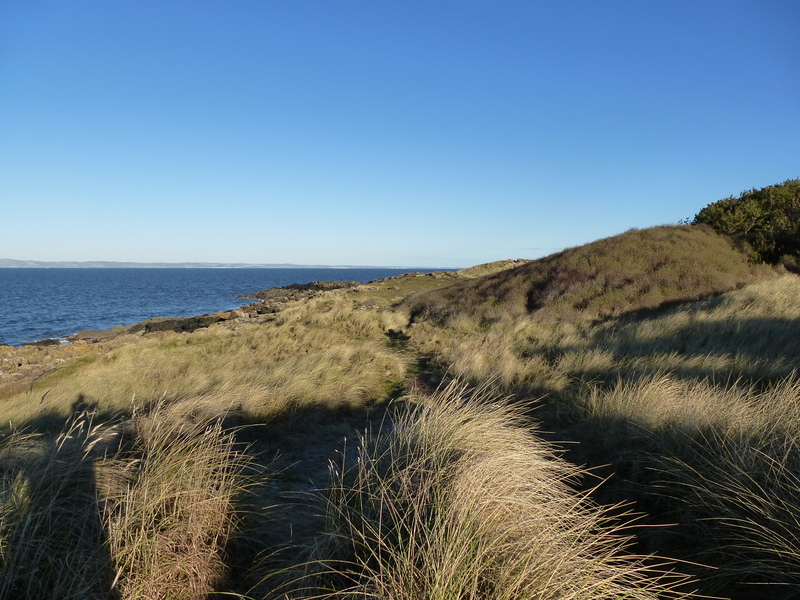 Few however will be aware of its long history, and the many myths linked with one of South East Scotland’s most fascinating landmarks. 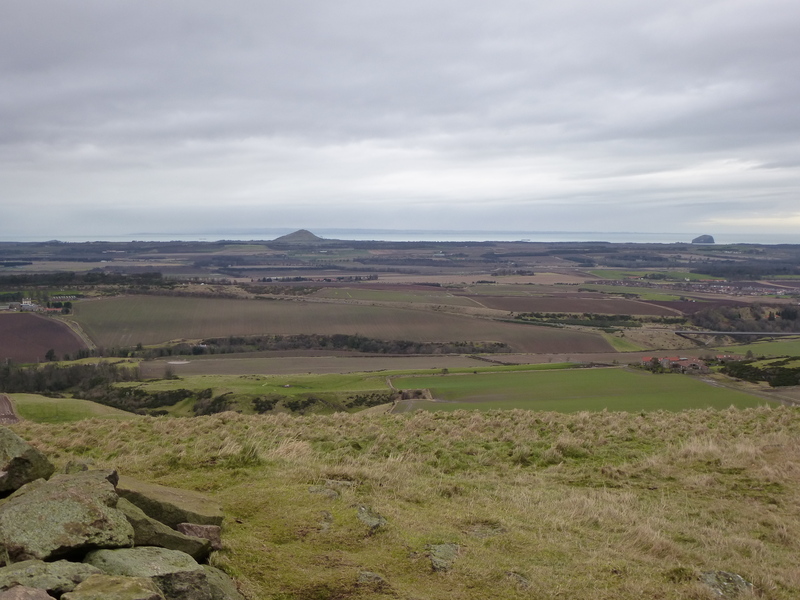 Archaeological investigations of Traprain Law during the last hundred years have revealed centuries of habitation, with the first signs of human involvement dating back as far as 1500 BCE. The Law seems to have been the site of a major settlement, and has long been linked with the Votadini tribe who inhabited the region during Roman times. In 1919, a team of historians discovered the famous Traprain Treasure here, an incredible hoard of silver plate dating from this era, thought by modern scholars to have been a bribe paid by the Romans to the local people to buy their cooperation. Nowadays there are few signs of this extensive history visible to the naked eye. The day that I visited the Law was cold and windy, with dark clouds sweeping in threateningly from the west. 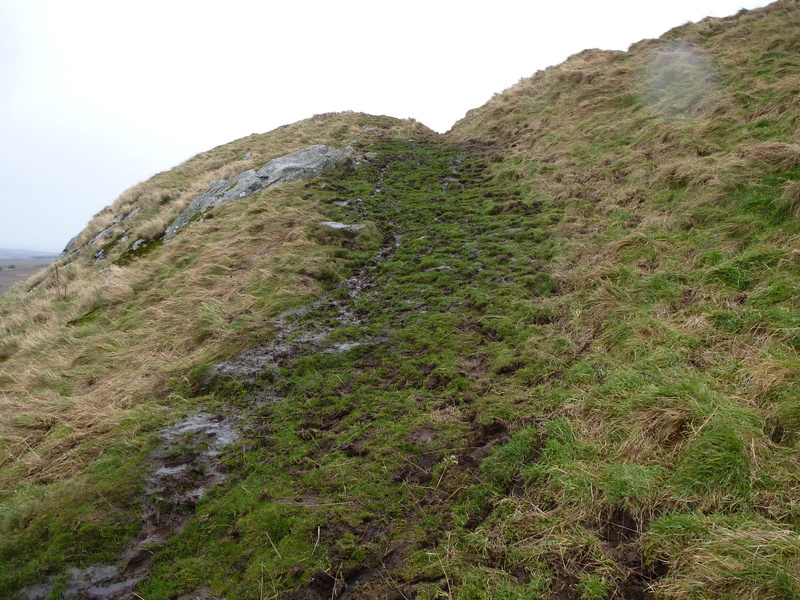 The climb up to the summit was steep and soggy, the path often resembling a boggy mountain stream. The view from the top made it all worthwhile, extending for miles over the surrounding landscape. No one else was around, just me and the stubby-legged, barrel-chested little horses that now make the Law their home. 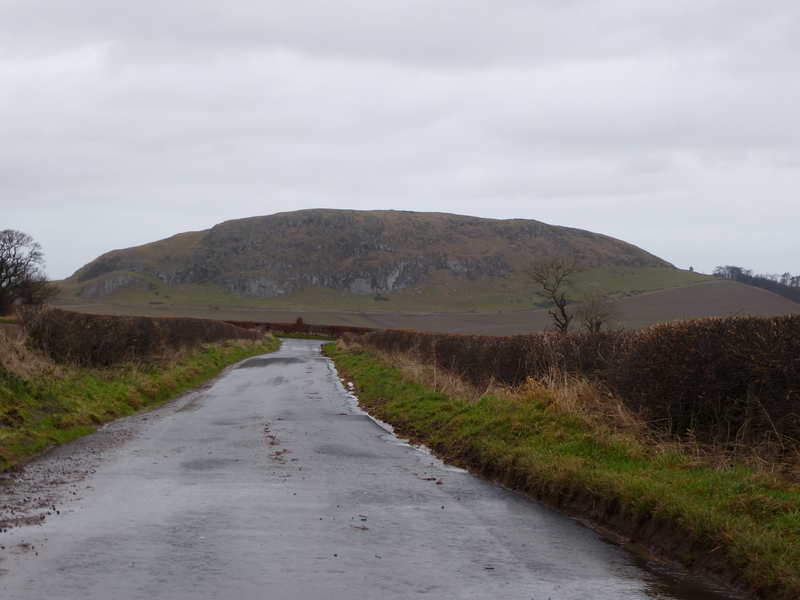 Traprain Law has been linked in legend with St Mungo. A story is told that his mother, Thenaw, was thrown from its precipitous cliffs by her father King Lot when he discovered that she was pregnant by Owain Mab Urien. She miraculously survived, and following a journey across the Forth to a place near the town of Culross, she gave birth to Mungo, now the patron saint of Glasgow. An even more bizarre story suggests that the huge rocky outcrops known as the Maiden Stone and Mother Rock, which dominate the summit of the Law, have magical properties. Women, and perhaps men too, who want to improve their fertility are encouraged to squeeze their way through the narrow crevice between the two rocks, preferably performing this feat naked, not the most appealing prospect on a cold and drizzly afternoon. In recent years the Law has also been linked with UFO sightings, with unusual lights appearing here and at nearby North Berwick Law. I didn’t spot anything untoward on my visit, although the atmosphere at the top of the great mound is certainly rather special. 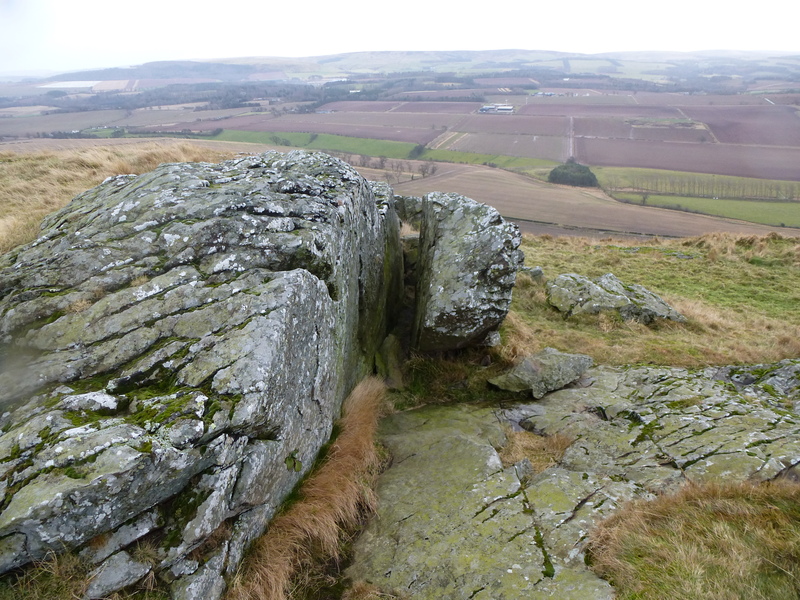 The Loth Stone, a huge monolith said to be the gravestone of mythical King Loth and which sits in a field not far from Traprain Law was also on my agenda, but as I began my slippery descent the heavens opened and I was forced to hot-foot it back to my car. The Loth Stone, it seems, will have to wait for now. 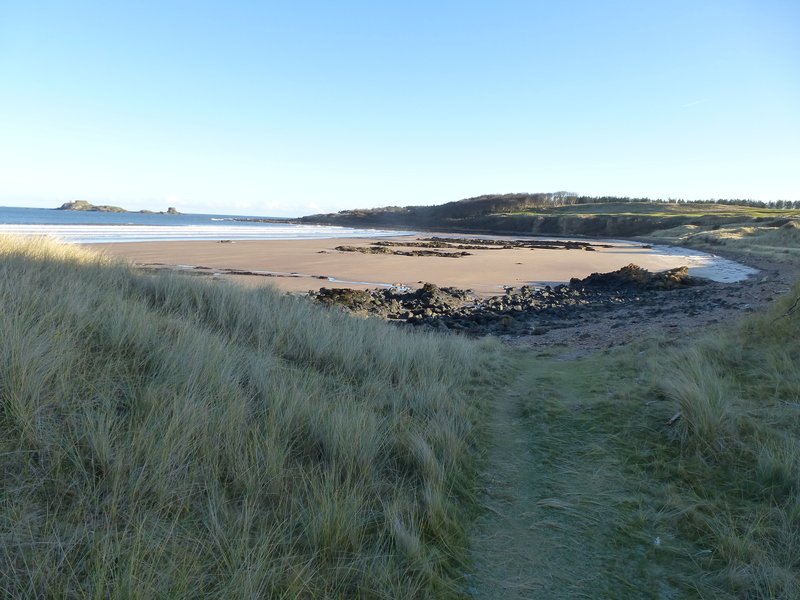 The beaches and coastline of East Lothian are well known for their golden sands and lush golf courses. 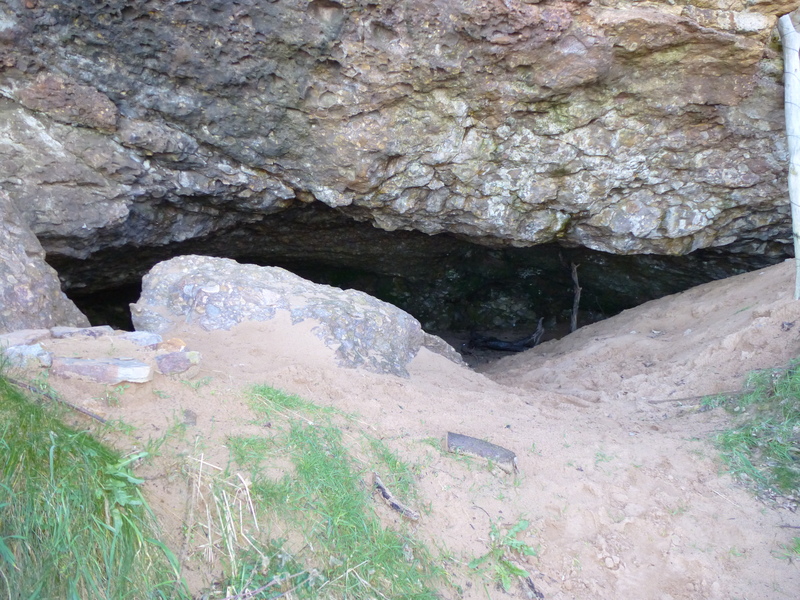 Less well known are the Hanging Rocks caves, which lie to the east of the town of Gullane. It may not look far on a map, but the walk is hard going, up and down rocky outcrops and high dunes, certainly not for the faint hearted. 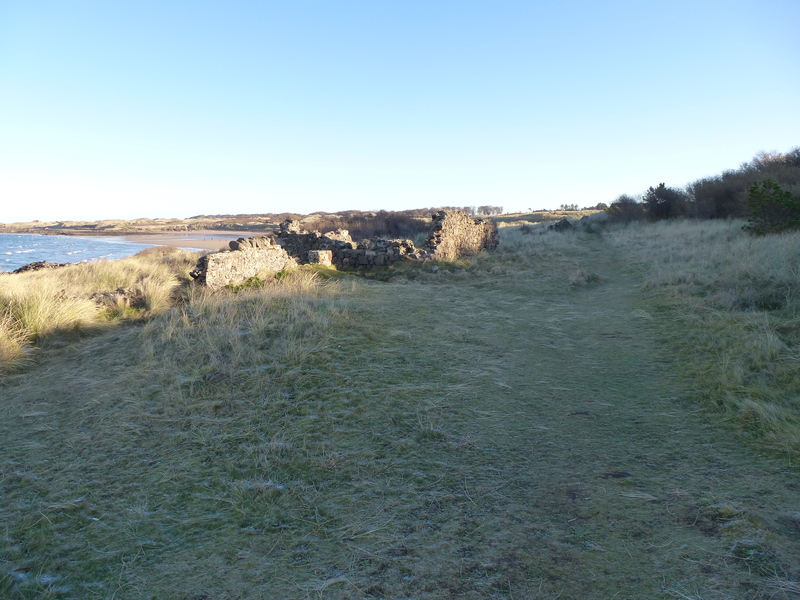 One the way I spotted the ruins of St Patrick’s Chapel, thought do date from the 16th Century and probably once roofed in turf, now just a messy jumble of windswept stones. The bay which is bordered by the so called Hanging Rocks is beautiful, its long strip of yellow sands opening up onto fine views of the Firth of Forth and the craggy island of Fidra to the north east. The day I visited was cold and breezy, but the wide blue sky and bracing fresh air more than made up for the bitter chill. The location of the caves themselves is not obvious; I had neglected to bring a map with me, and it was only when I spotted a thin line of footprints leading up through the bushes at the foot of the cliffs that I knew I had come to the right place. I followed the footprints up the steep, sandy slope, slipping and sliding my way towards the base of the rocks. The westward cave is rather disappointing. Although it once may have been a sizeable cavern, recent erosion has caused the roof to collapse and slide down the slope. All that remains now is a shallow niche, its sides blackened with the soot from ancient fires. I knew that a more impressive cave lay somewhere nearby, so I carefully picked my way back down the slope, and soon found another trail heading up an even steeper incline towards the east. At the top of this climb I found the second, much larger cave at Hanging Rocks. This cavern is far more interesting, its depths hidden in dark shadows, cold water dripping from the low roof. A squat wall of indeterminate age covers half of the entrance, supporting a rather precarious rock outcrop. 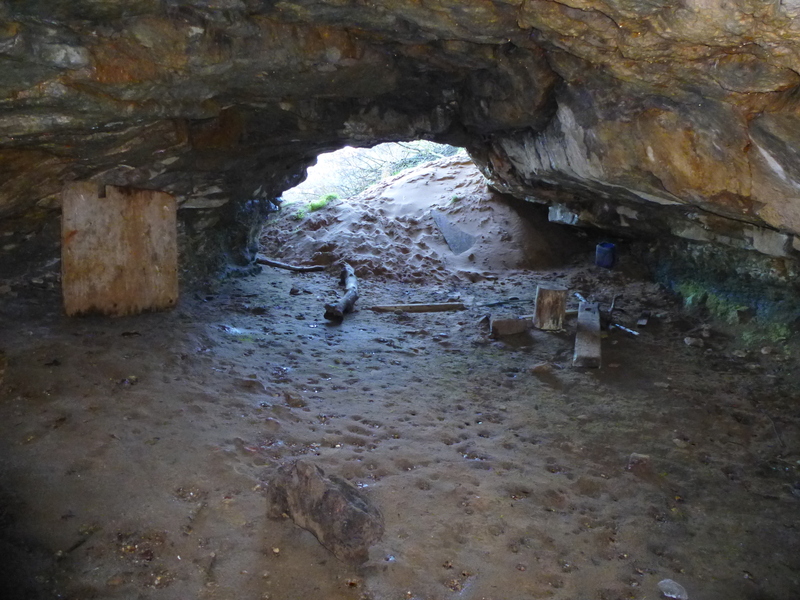 Archaeological investigations in the cave have uncovered evidence of human habitation dating back to the Iron Age, with Roman pottery, spearheads and a quern stone suggesting that this place has a long, if rather mysterious history. Nowadays it is damp, gloomy and far from homely, modern detritus suggesting more recent human (hopefully temporary!) occupancy. I didn’t spend long inside, and it was almost a relief to get out of the claustrophobic space back into the bright wintry sunlight. There’s always something magical about caves, but this place has a strange atmosphere, dank and rather forbidding. Emerging through the small cavern mouth, I struggled further up the slope, thorny branches pulling at my clothes, and emerged from the bushes onto the sterile, perfectly clipped lawn of a golf course fairway. The spell cast by Hanging Rocks was well and truly broken.